Pittsburgh, PA - After over 90 years, a Pittsburgh bridge is no more. 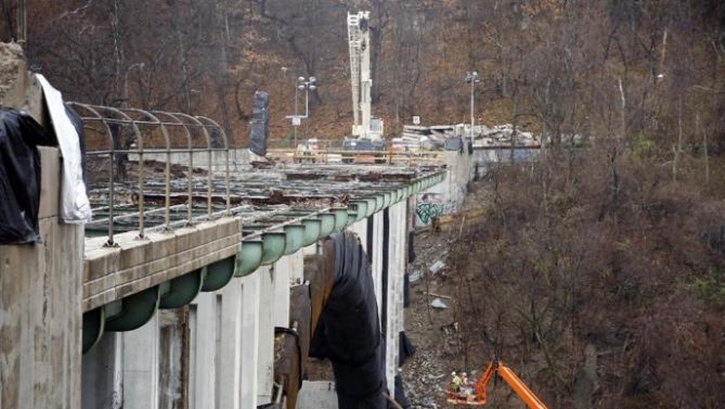 The Greenfield Bridge was brought down in a controlled implosion Monday morning. Dozens of onlookers stood by to watch the span collapse in a cloud of dust. The bridge carried traffic above Interstate 376, which is locally known as the Parkway East. It’s been closed since October and is being replaced by a new span scheduled to open by May 2017. The interstate will be closed for about 5 days while crews remove the debris. It could reopen sooner if cleanup happens quickly.